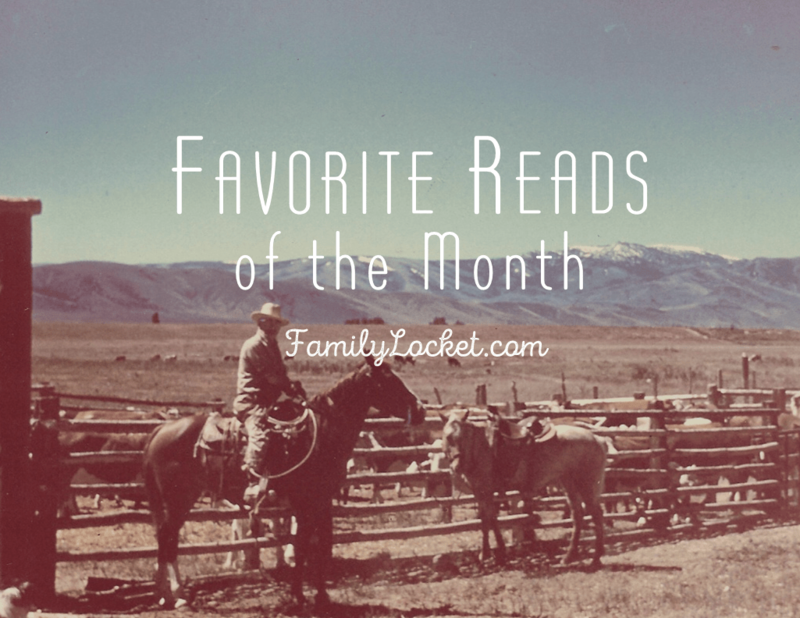 Note: I have decided to compile my “Favorite Reads” list monthly instead of weekly. This year I’d like to spend some of my Friday night genealogy blog reading time doing research. I don’t want to miss out on the genealogy news and any articles of interest so if I miss something you think I’d be interested in, let me know! Will Essentials: What Happens to Your Tangible and Digital “Stuff” When You Die? by Breanna Olaveson at Meridian Magazine – detailed post about leaving a legacy, preserving personal history, making a plan for donating items to a museum or passing them down to heirs, and creating a last will and testament. Discover What You’re Made of with Grandparent Inheritance Charts at Legacy Tree Genealogists – this is really cool. I can’t wait to do this. Digitization Project? Get Kids Involved! by Emily Kowalski Schroeder at Growing Little Leaves – tips for involving kids, youth groups, and teens in digitization projects. May I Introduce to You . . . Melissa Finlay by Wendy Mathias at Geneabloggers – love the story of how Melissa got started with genealogy at age 13. I also loved the 80/20 rule she shared about writing and time management. May I Introduce to You . . . Ruth Blair by Gini Webb at Geneabloggers – Ruth got started in genealogy when assigned a school project to research her family tree. Thank you for reading my article at Greatist. Some great links here!